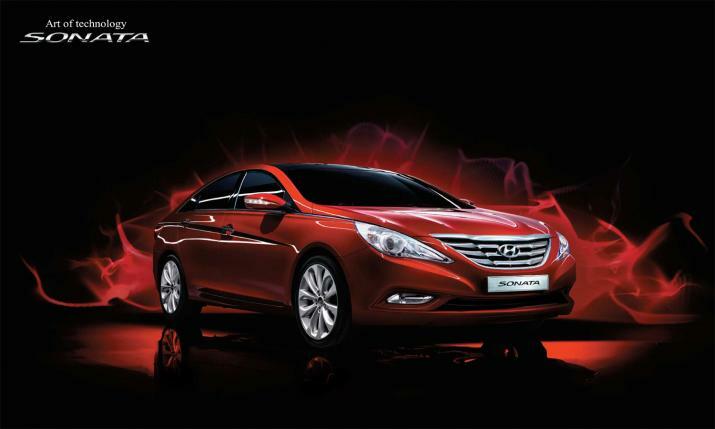 2011 Hyundai Sonata makes its official Korean premiere! The long-anticipated new generation Hyundai Sonata makes its official Korean premiere today, in front of more than 200 invited VIPs, company executives and media members. 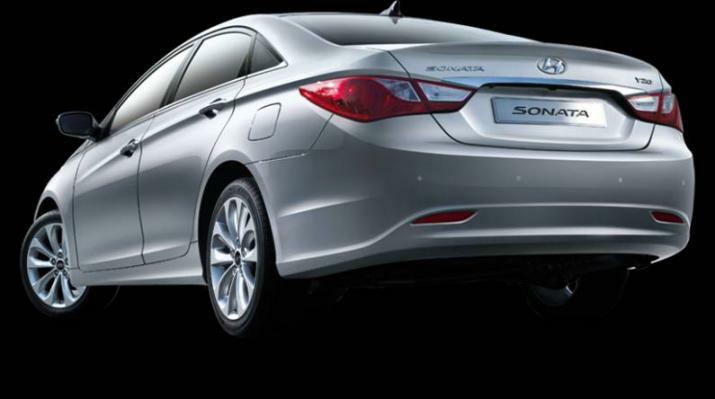 The all-new 2011 Sonata sedan incorporates the automaker’s latest design language called “fluidic sculpture” and is expected to shake up the world’s mid-size sedan market with its state-of-the-art technologies, outstanding performance and segment-leading fuel-efficiency and safety features. 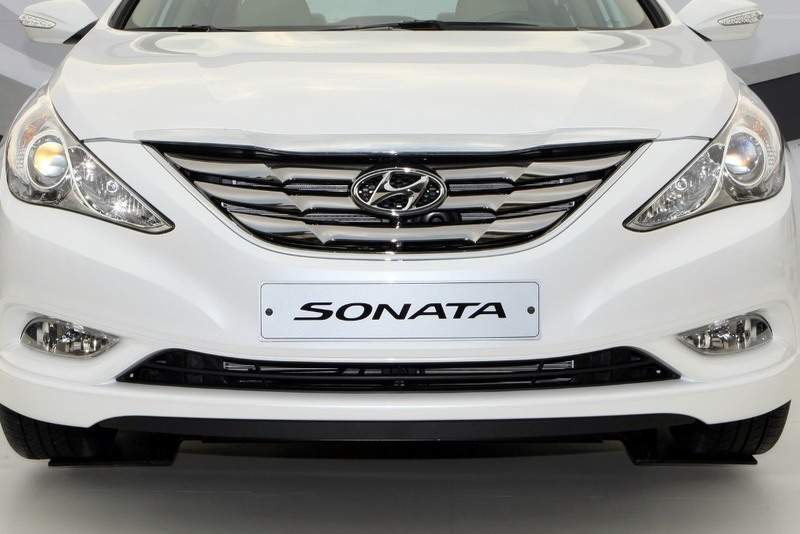 At the official launching ceremony, which took place in Seoul, Hyundai’s Vice Chairman, Euisun Chung noted that the all-new Sonata sedan is going to raise Hyundai’s brand values and set new standards for world class mid-size sedans. 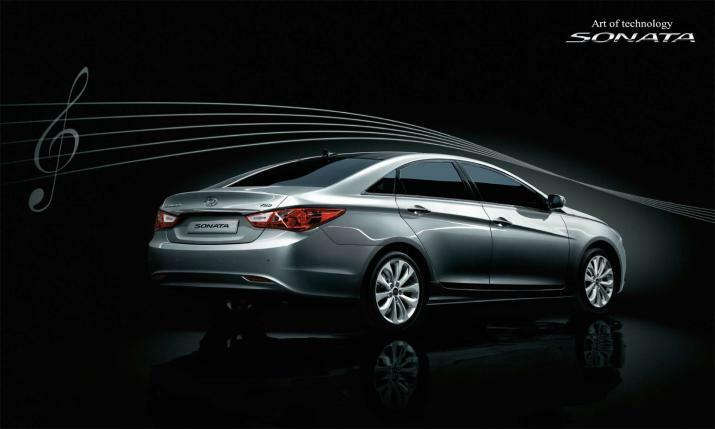 Development of the sixth generation Sonata sedan took Hyundai engineers and designers 4 years and $372 million to develop. Designed at Hyundai’s Korean design headquarters, the 2011 Sonata incorporates nature inspired exterior design aesthetic of “fluidic sculpture” and boasts younger and sensuous image in its exterior and interior. Available in nine exterior colors, the 2011 Hyundai Sonata features outer design which exudes a voluminous look that creates character through the refined and harmonized lines, while interior incorporates a dynamic look that matches the exterior while not compromising comfort or convenience. Initially, the all-new Sonata will be powered by a 2.0L Theta II gasoline engine with maximum output of 165 horsepower and 202 Nm of torque. According to Hyundai, the engine achieves 12.8 kilometers per liter (7.8L/100km or 30.1 mpg ), which is the best fuel-economy rating in its segment and more than 11 percent improvement over a smilar engine running in the current generation Sonata sedan. Early next year, Hyundai will also introduce a 2.4L gasoline engine equipped with gasoline direct injection -GDI technology and 200 horsepower. When Sonata reaches US shores, sometime in the first quarter of 2010, it will also be available with a V6 power ( 2.4L engine will be offered as a standard engine in the U.S. market). Europe, on the other hand, will also get two frugal diesel engines (2.0L and 2.2L R-diesel engines) with power outputs ranging from 150 to 200 horsepower. According to Hyundai, all engines available in the 2011 Sonata are offered with the all-new six-speed automatic transmission! The all-new Sonata sedan features vastly improved safety and convenience features that will attract and satisfy new as well as current Sonata customers. It comes available with Vehicle Dynamic Control, Rear Heated Seats, Amplitude Selective Dampers, Electronic Parking Brake, Hill-start Assist Control, Brake Assist System and panoramic sunroof! It also comes equipped with Parking Guide System (PGS), JBL Premium Sound system and newly applied, Mozen Premium Wide Navigation system. Mozen system is a telematics service that operates in Korean market since 2003 and links the vehicle’s electronic control systems to a monitoring center. The center checks various components for errors, informs the driver of the analysis, and provides directions to nearby service centers. The Korean largest carmaker revealed it aims to sell 60.000 units of the all-new Hyundai Sonata sedan in its home, Korean market by the end of this year, while next year, Hyundai plans to double that number. 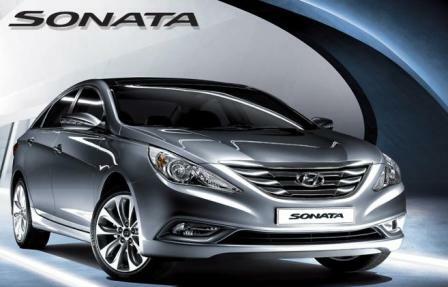 Hyundai will continue to produce Sonata at both of its overseas manufacturing plants, located in Alabama, US and China. Production of the 2011 Hyundai Sonata for the US market will begin early next year, while production in China will commence in the beginning of 2011. 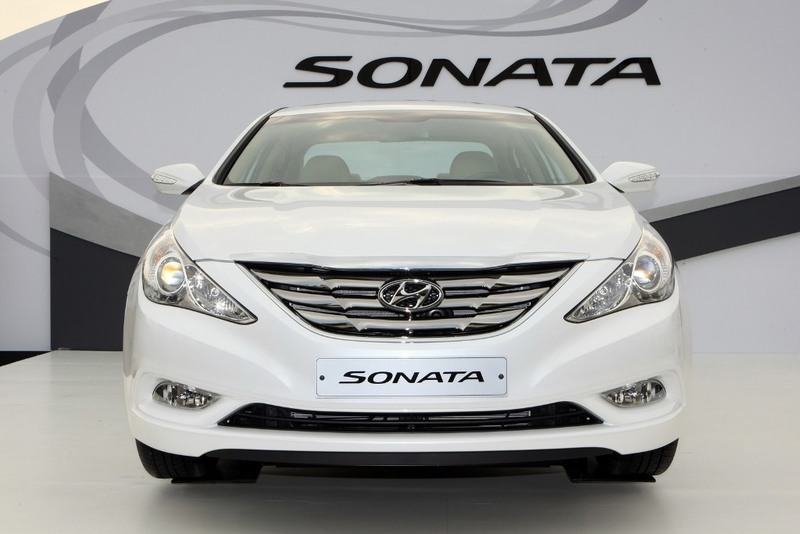 From that year, combined Korean and overseas production of new Sonata is expected to reach 450.000 units annually! Pricing for the US-market Sonata will be revealed closer to its official US debut, scheduled for NAIAS 2010. 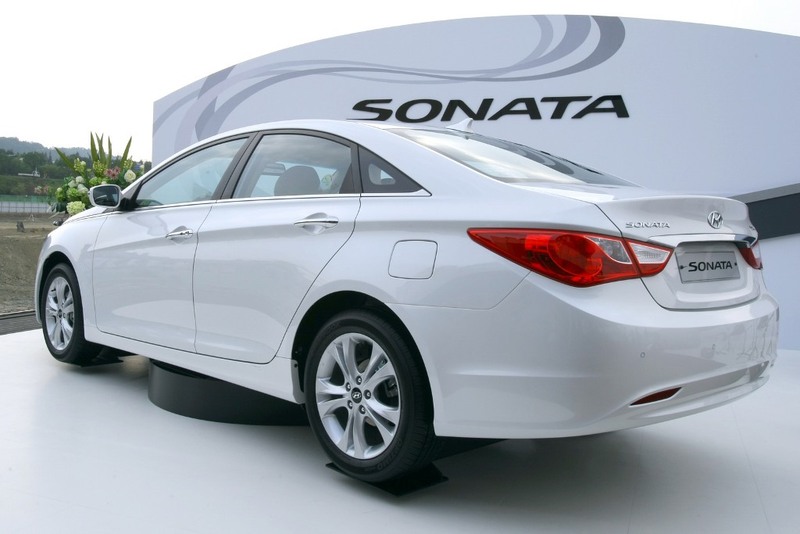 In Korea, Sonata will be priced from 21.3 million Won (US$17.600) for a base 2.0L model and top out at 25.95 million Won (US$21,450) for a fully-loaded 2.0L model. Hyundai Sonata Sport Named Best Midsize Sedan Of 2015 – Here’s Why!